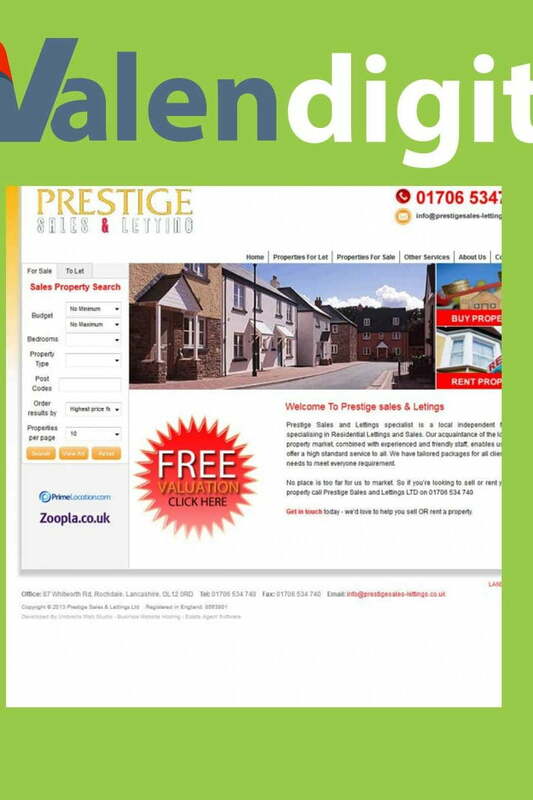 Prestige Sales & Lettings Ltd is a local independent firm in Rochdale. They provide sales and lettings facilities throughout Rochdale and Greater Manchester. The bespoke software integration allows them to publish all there sales and lettings properties to market places that include Zoopola and Rightmove. As a small firm they can provide specialist facilities to help achieve a let/sale at the right price. The site sales and lettings of commercial and residential properties.